There are a lot of good ideas in the Finale, but this is a show that could have still left things open and ended as a complete story…instead they took the full cliffhanger route, which leads me to believe they must have thought they wouldn’t be cancelled or they were really irresponsible with their story. “Born to Run” does accomplish a lot and we see how the events of the season have changed and shaped characters, but the plot holes and mysteries still bring it down, which I’ll get into more detail in the assessment. The episode was directed by Jeffrey Hunt and written by Josh Friedman. The story involves Catherine Weaver asking John and Cameron to join her while they plot to destroy John Henry and rescue Sarah Connor. Nothing is as it appears to be when Skynet attacks though and John Connor and Catherine Weaver take the Time Machine to the future to find John Henry. The Pros: Catherine Weaver – Catherine Weaver knows Skynet is the enemy and now that the ball is in her court she does all she can to bring the Connors over to her side. We see her use her liquid skin too to stop a Skynet drone and later travel with John Connor into the future. I got to say I would have loved to watch that team up. She is a great character. John Henry – John Henry convinces Cameron to help him as she gives him her chip so he can turn on the Time Machine to go to the future. I wish we could have got more, but I really like this character and the little time he is in the episode is enjoyable. Agent Ellison – Ellison is able to stare down Cameron and deliver Weaver’s message on joining them and after the Weaver reveal he doesn’t go into the future, he stays with Sarah Connor on the other side to try and stop Skynet in the present. Cameron – Cameron gives up her chip in order to save the future and it is the loss of her that motivates John to go with Catherine in the Time Machine. She is also hostile to Catherine’s offer, showing she remembers what Jesse told her about the T-1001 destroying the human crew. Okay: Sarah Connor – Sarah Connor is dealing with her mortality and at this point is afraid of losing what solid ground she has left. This leads her to staying behind with Ellison to fight Skynet in the present. 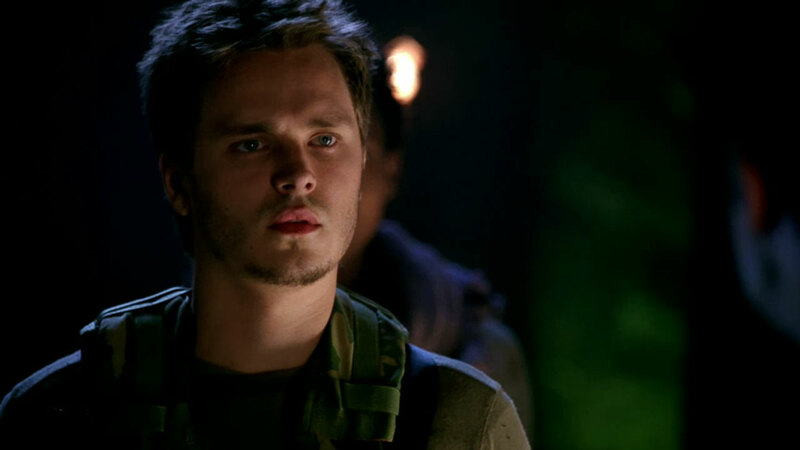 John Connor – John is motivated to go into the future to find Cameron, instead he finds the resistance member Allison and his father Kyle Reese. What this all means besides his joy remains to be seen…and we’ll never know. The Future – Going to the future, one of the future is an interesting idea so I won’t put it as a con. Sadly it doesn’t work because of the Cliffhanger. The Cons: The Cliffhanger – John meets his Father Kyle Reese in the future and no one knows who he is. All I had were questions, that isn’t how you end a season. This episode could have ended with the alliance between the 3rd Faction of Machines and the Connors and with them ready to fight Skynet and able to win as we have learned from this series, that is what was missing before…or the alliance could fall apart and the bombs fall showing the future can’t be changed…either would be better than the cliffhanger we received. They really should have done more myth building in the 22 episodes they received in their 2nd Season. A character who I hated and still dislike died this episode. We also see Skynet acting like a threat and things coming to a head with Weaver’s faction about to meet the Connor’s faction. It is a good but not great episode as the loss in this wasn’t that strong of loss. There are some great character moments though. The episode was directed by Charles Beeson and written by Toni Graphia. The story involves Skynet’s attempt to kill Savannah, but she is rescued by John Connor and his faction leading to the death of Derek Reese by the T-888 Skynet sent. From here they must find out why she’s being hunted as Weaver and Ellison seek to get her back and protect John Henry. The Pros: John Henry – John does all he can to protect Savannah in this, as to him they are friends. He also is put in a difficult situation when both Weaver and Ellison are having him hold secrets for them against one another. It’s sad as he is innocent and with the lies we see where possible corruption could sneak in. 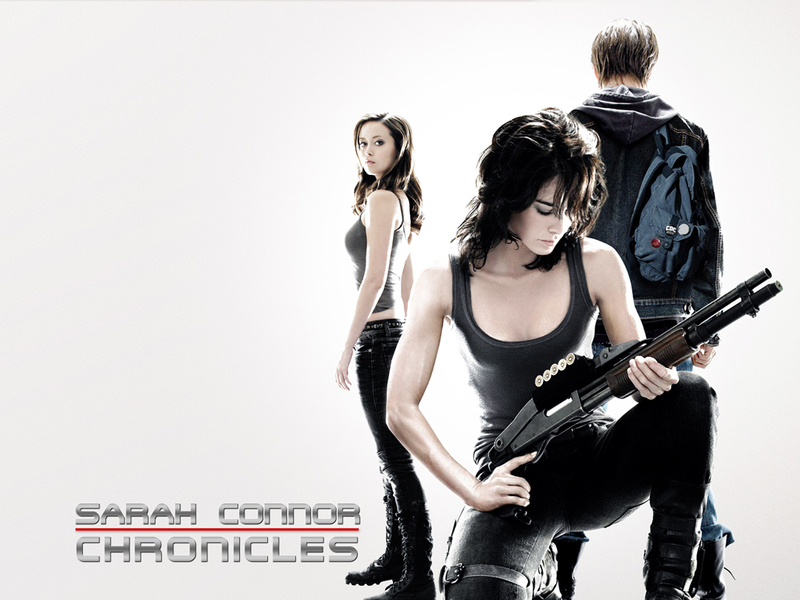 Sarah Connor – Sarah Connor is adiment about being the only one who can protect Savannah, though Ellison finally convinces her by reminding her that it is Catherine’s choice as a mother too, though it is for not as Weaver or the FBI created a trap and Sarah ends up in police custody once again. John Connor – We see John powerless in this, but also figuring things out as they learn about the existence of John Henry and fear the rise of Skynet from him. He doesn’t really feel Derek’s loss since he has already had so many die for him anyway and in this he realizes more how his mother is trying to protect him. Agent Ellison – Ellison is shown to be a good guy as he believes Sarah and John but still has to get Savannah back to Weaver. To this end we see him meet them on multiple occasions and seek compromise each time. The betrayal of Sarah hits him hard as he wanted her protection. Catherine Weaver – Weaver is shown to be conniving but with a big picture in mind as she believes John Henry and Savannah are connected to saving the future. She isn’t wrong as their relationship is making John Henry good rather than bad as he has friends and has learned to care about people through her, but she also always expects to get her way and the betrayal of Ellison’s plan shows she can’t be trusted. Okay: Cameron – She is mostly just there threatening Ellison. We don’t gain anything new about her character or motivations, just that she thinks that Sarah most likely has cancer. This episode was good, but still feels like more time could have been needed to explore things. We don’t know anything about John Henry’s brother and the Skynet faction is only seen through the face of one T-888. That isn’t enough to really draw us in or see them as a threat, even with their killing Charley and Derek. This was a good but not great episode. I liked the father and son relationship that was on the side as well as the Catherine Weaver and Agent Ellison story, the Riley and Sarah’s dreams don’t hold up as well though sadly. The episode was directed by Scott Peters and written by Ashley Miller and Zack Stentz. The story involves Sarah’s tracking of the three dots leading her to a startup company called Dakara Systems. They are soon pulled into a complicated family relationship as Ellison uncovers what happened with the John Henry system and the death of Dr. Sherman. The Pros: Alex and Xander – This father/son relationship is awesome as Xander is disconnected and brilliant while Alex wants to be successful and is dealing with the fact that his family was wrong during World War 2 with the internment camps even as his father helped capture Italy with the allies. He wants to believe in his son but is so afraid that it leads to him selling the chip to the Yakuza. Going Undercover – Sarah and Cameron are investors and it is wonderful seeing them build a relationship with Alex and Xander as Xander is a lot like Cameron and Alex like Sarah Connor. Agent Ellison – Ellison is the best hope for making the A.I.’s good as we see him question John Henry and realize the machine as no morals which leads to Catherine Weaver installing the A.I. in Cromartie’s body so it can be taught to be human by Agent Ellison. Catherine Weaver – Weaver is shown to be more complicated as she wants John Henry to be able to feel and moralize and sets Ellison in charge once she learns how the A.I. let Dr. Sherman die. What her agenda is along these lines remains to be seen though, I really like her charactera and Ellison though. Jesse – What is Jesse’s agenda and how is Riley connected to her? Learning that she using Riley to unknown ends is one of the few things that makes Riley compelling, still she hasn’t got out of plot device. Okay: Sarah Connor – Sarah is dealing with her visions and is not being trusted by anyone on her team as is seen to be breaking down. What the 3 dots mean could mean anything though I suspect things will get bigger, especially given the names written in blood. John Connor – John’s story is limited as rather than moving on he gets back together with Riley who we now know is manipulating him, guy can’t get a break and his growth is static at this point. The Cons: Riley – Riley is a foster kid who is connected with Jesse and knows the end is coming. Her agenda is unknown and she still feels like a plot device.